Provide audio Bibles to Kenyans who are illiterate. These devices play Scripture in the local language, allowing both individuals and small groups of people to hear, understand and ultimately act on God’s precious Word. In Kenya, many families cannot read. Prior to engaging in literacy training, reading the Bible seems like an impossible task. However, the audio Bibles are helping spread the Good News of Christ to those who may not be able to read about Him otherwise. Their community is being revitalized through an improved biblical perspective. 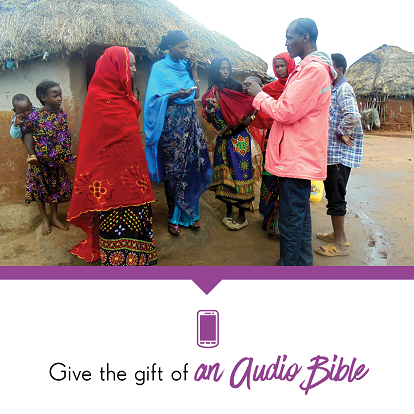 This year, audio bibles will be distributed to communities in Kenya.